If you have tried losing weight on your own but haven’t succeeded, you may need support to help you reach your goal. Fast Clinical Weight Loss in Indianapolis, Indiana, has trained wellness coaches who are there every step of the way in your weight-loss journey. Under the direction of Gregory Oliver, DO, they become your partner and help you succeed. 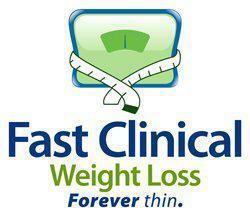 Call or book an appointment online today with Fast Clinical Weight Loss. Many weight-loss programs have some variety of nutrition counseling, but until clients are ready to change, explaining how their weight is harming their health may do little good. They already know the dangers of excess weight. A more efficient approach is wellness coaching. Coaching involves different skills than advice-giving and explaining facts. Coaches listen more and instruct less. What makes wellness coaching effective? Coaching is client-centered instead of advice-driven. The goal is to have clients become involved in the change process. Listening establishes an atmosphere in which the client feels heard, perhaps for the first time. Once the coach builds trust, clients are more open to self-reflection. Trained coaches ask questions that engage the clients in thinking about their habits in a non-defensive manner. They avoid “why” questions and use “how” questions instead. For example, instead of asking “Why don’t you bring your own snacks to work instead of going to the vending machine?,” a coach might say, “How would things have to change for you to bring snacks to work?” These questions engage you in problem-solving and decision-making. What type of access do I have to my wellness coach? Each of the Fast Clinical Weight Loss offices has two health coaches, who are trained to assist patients in achieving their health and weight-loss goals. They start with you on day one and work with you at each visit. They connect with you to listen to your goals, ask you to envision how a day would be different once you lose weight, and offer personal and specific recommendations to help you reach your optimal weight. Their goal is to help you reach yours. Your coach is also available via email and phone for any issue that comes up between visits. As you lose weight, your coach moves you toward a more active lifestyle and works with you on how to maintain a healthy diet. Your coach is excited to see your progress and provides knowledge, encouragement, praise, and support along your journey. Call or book an appointment online with Fast Clinical Weight Loss today to learn how a wellness coach can help you transform your body into the one you envision.